With over twenty years of experience in the Charleston area, Custom Home Sound is here to provide a solution to your technological needs. Whatever you imagine for your home, Custom Home Sound can do in a quality, consumer-friendly manner. Home entertainment has never sounded, or felt better. Making the best things in life, better! Call us today! WIRED Installations LLC provides high quality Audio/Video, Structured Wiring, and Custom Installation services at reasonable prices to residential and commercial clients throughout the Charleston, SC area. When you choose to utilize our services, you are purchasing our entire community of knowledge and workmanship and we guarantee your complete satisfaction with any Home and/or Business entertainment solution we provide. We are here to help motivate you, your friends, your family, and your coworkers to enjoy the complete entertainment experience from wherever you are most comfortable! With over 20 years of hands-on experience, Daniel Island Audio/Video and Structured Wiring has built upon the practices of hard work, excellent customer services, and high-quality designs. They offer personalized, top-quality, integrated electronic systems in new and existing homes. QEI Security & Technology provides a one-stop solution combining quality brands and superior service in home security systems, 24/7 security monitoring and home automation. With 35 years of experience in the security industry, we’re locally owned and operated with headquarters in the Charleston, South Carolina region and representatives in Columbia, Myrtle Beach, Bluffton, Hilton Head and Greenville. Home automation services, like climate control, entertainment, lighting and security, are powered by TEQHoM interactive. Whether you're looking for a Home Theater or building your dream home and don't want to be left in the dark when it comes to whole house and integrated system technologies Connected Lifestyle Engineering by Audio Warehouse has a solution to fit your lifestyle. After two decades in the business, Audio Warehouse has evolved from selling components that you "take home, unpack and plug in," into a company that works with architects and engineers from the beginning stages of home building to installing a system into new homes that integrates audio, video, networking, telephone, lighting, security, cameras, HVAC and more. We are founding members of C.E.D.I.A. With one of the best trained and experienced staff offering years of combined experience, Audio Warehouse specializes in catering to each customer by engineering a system of the right components to fit the individual lifestyles. Audio Warehouse also provides accredited continuing education for architects and designers in addition to product and technology training for builders and electricians about these integrated systems. "It's the collective experience, knowledge and passion for what we do that makes The Audio Warehouse the ideal partner for helping build your Connected Lifestyle." Safe and Sound Integrations and its Pros have over twenty years experience in providing solutions for all your home entertainment, security and technology needs. We keep you moving forward and in touch with today's latest equipment and in touch with the hottest trends. Get started today, Its as easy as 1-2-3 Call today and have a Pro help you get started! 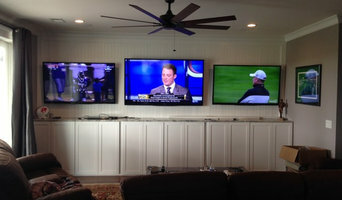 Sales, Design, and Installation of high-end audio/video systems. Summerville Locksmith makes sure that locals in Summerville, SC are fully aware of the solutions which serve to protect their properties. We can assure you that you have never experienced a local business that cares so much for its customers. You have never experienced service as excellent as what we provide. If you simply want information, you can call us and attain all of the details you need, and you can trust that we aren’t going to try to keep you on the phone or get you to buy any of our products. We aren’t sales people. Our goal is to share our knowledge so that locals can use it to keep their items safer, which will in turn make the entire Summerville, South Carolina area safer. This is a good place to raise a family, and we would like to keep it that way. Lock rekeying, lock installation, master keys, safes for money and weapons, and lock repairs are all important solutions that will better protect your automotive, commercial or residential property. From 24/7 emergency lockout help and garage locks to panic devices and patio locks, everything you could possibly need is available here. Our prices are extremely competitive to boot. Checking out reviews from our previous customers will prove that we are everything we claim to be. We work with all brands, too, such as Medeco, Yale and Kaba. Have questions? Call Summerville Locksmith for further information. Innovative Sight & Sound specializes in custom home theater installation, smart home automation systems, lighting control, whole house audio, and security. 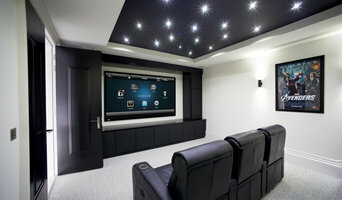 Visit our home theater store and showroom to see and hear what high performance home audio should look and sound like. Total Entertainment Solutions is a locally owned and operated company in North Charleston, SC, that provides home theater installers who are highly trained and experienced. Our team always arrives punctually and completes projects in a prompt and clean fashion. Every client we serve has his or her own home theater needs and preferences, and we take a lot of pride in customizing cost-effective solutions for all of them. Our goal is to use technology to enhance your life, and that will be our approach whether we’re programming a remote, installing a new TV, or wiring your security system. 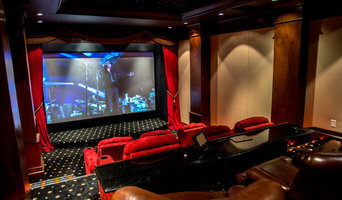 When homeowners need a home theater installer in or around Charleston, they often choose Total Entertainment Solutions because when it comes to home entertainment, we can do it all. The sooner you call us, the closer you’ll be to having that home theater you deserve and have always dreamed of. We’re available Monday – Friday, 9am – 6pm, and Saturday – Sunday, by appointment, and we can provide same-day service. Call today. We are electronic systems contractors making the technology and security in your life – Intuitive, Innovative, Invisible, and Incredible. For over two decades, eLifespaces has been designing, contracting, and maintaining security, audiovisual, energy/lighting control, data/communications, and integrated control systems. Our company directors and technical practitioners hold multiple licenses in the construction, networking, low voltage cabling, security (both fire & burglar), and electrical contracting. The eLifespaces’ mission is to provide our customers and strategic partners with technologically innovative products and value-added services that make safe and enrich their lifespaces. Whether it’s ISF® Video Calibration, THX® Certified room construction, HAA® acoustic calibration or any number of other specialized requirements, let our team of Industry Certified Professional Designers and Installers address your technology needs. Carolina Home Theater is a locally owned company specializing in Charleston area residential and commercial home automation, custom home theater, electronics, and audio & video equipment. We bring you the latest technologies including modern smart home systems, surveillance and security systems, security cameras, lighting control, home theaters, surround sound, networking, business solutions, and more. We focus on our clients needs and provide options in technologies to give them viable solutions to reach their goals. We can help you integrate modern systems in your home or business which are meant to make your life more functional and more enjoyable. Modern technologies emerge every day, and we help you make sense of and use them. Focusing on providing you integrated technologies for more productive businesses and home life, our technicians bring you the expertise you're looking for to meet all your electronics needs. Complete audio visual and technology services from the ground up. New construction or retrofits. Your own private audio guy! Connect-Tec has been serving the Lowcountry and surrounding areas for over a decade. Specializing in home automation, structured wiring and security, Connect-Tec has the ability to turn your new or existing home into an integrated machine that is controlled by you. We give your home a sleek, clean appearance offering the most professional services in a cost effective and timely manner. If you have an idea we can make it a reality, and if you aren't so technically savvy our staff can assist in designing the perfect system for your needs. Find a home media designer on Houzz. 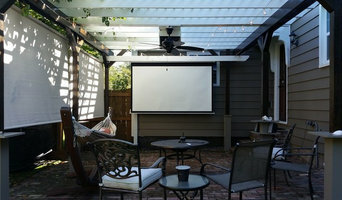 Narrow your search in the Professionals section of the website to Charleston, SC home media designers. You can also look through Charleston, SC photos by style to find a room you like, then contact the professional who designed it.